Recently I received a lovely email containing this photograph of a Willow Mother and Baby Roe Deer that I created 5 years ago. 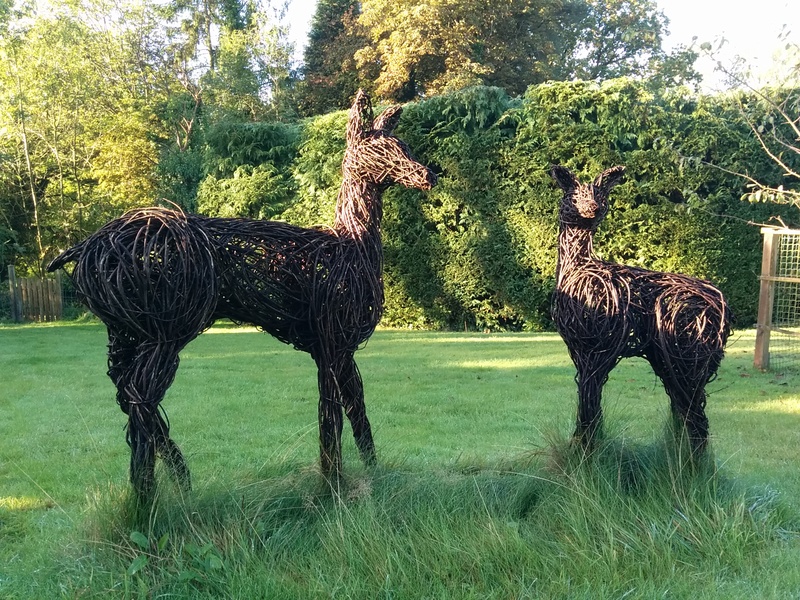 Their owners contacted me to say how much they have enjoyed these deer living in their North Yorkshire garden and that after standing outside all year round for 5 years they are still in good condition and enhancing their garden view enormously. It just goes to show that if you regularly treat your Willow animals with preservative, (in this case a Linseed oil, turps mix), they can give you a great amount of pleasure for years!